I have a little pattern hack for you guys today! This is my third 'Scout Tee' by Grainline Studio lengthened very simply into a short shift for my friend's wedding. I purchased the sequin fabric with an entirely different usage in mind, but my extraordinary procrastination skills coupled with the somewhat tricky fabric choice made a simple make a necessity. First of all I love this pattern! It's such a great wardrobe staple, it's simplicity really lets prints shine. 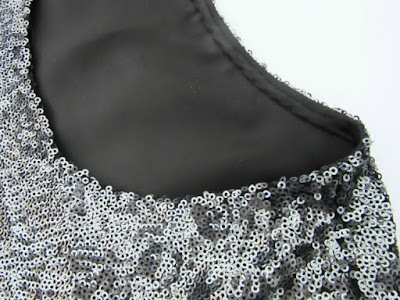 It was it's lack of darts / fastening which made it the perfect candidate for this sequin mesh. 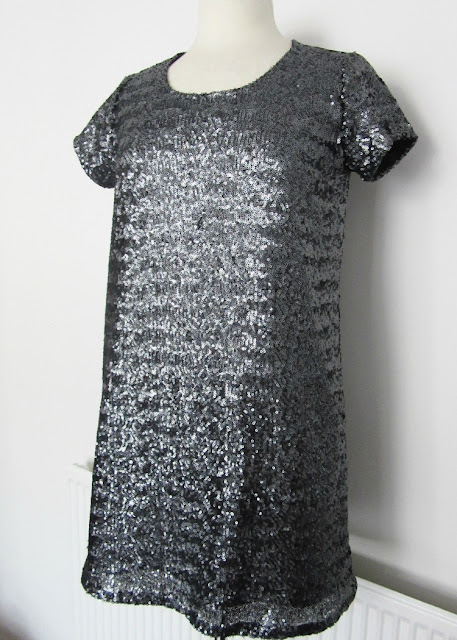 Initially I considered the 'Mesa' dress from Sarai's (Colette Patterns) Seamwork Mag having seen Beth's golden wonder at Sew DIY but the combination of being drafted for knits coupled with not having made and fitted it before made me reach for my trusty TNT Scout. 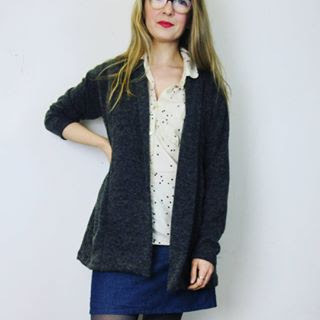 I'm not sure it can really be called a 'Hack' as I simply added around 8 inches to hemline safe in the knowledge any fitting catastrophe's would be unlikely. In hindsight I'd remove a little of the fullness at the side seams but -deadline! The short hemline balances out what could have been a bit of a frumpy silhouette so it's totally fine as is. I did a quick scout (see what I did there?!) online for tips. 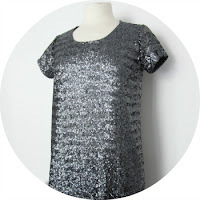 There's a super inspirational post over at 'By Hand London' and oh my goodness Heather Lou's glorious sequin shift dress is a thing of beauty but it would be a cold day in hell before I'd sit snipping the sequins from the seam allowances. I cut a swatch and tentatively tried it out (sequins intact) and good old Bernie handled it marvellously. It's probably worth noting that the sequins on this particular fabric are quite small and feature fairly large holes so maybe there's less chance of catching them with the needle. Handling this fabric didn't end up being that tricky but did require a little forward thinking and lots of hand sewing! Firstly I catch stitched the seam allowances open to reduce bulk. Lining was a necessity as the fabric was quite sheer when held to the light, which happily avoided the need to bind those itchy seams. The hand stitching continued with securing the bias faced neckline (you can also see a row of machine understitching in the picture above) and catch stitching up the bound hem. I made the mistake of purchasing cheap poly lining (I usually go for anti-static) so added the nice touch of a thread chain at either side seam to hold the lining in place. There's a fantastic video over at the Grainline Studio blog with really clear instructions on how to achieve this. I was worried that securing the outer to the lining at the hem may have caused some bagging due to the stretch difference so this worked like a charm. The event itself was great fun. Party tunes, good wine, great friends... a fabulous night was had by all and my commitment to making over buying remains intact!